Michael Sheridan and Patricia O'Connor will have their wedding reception on Sept. 25 at the Loeb Boathouse in New York's Central Park -- on the same day Pope Francis is scheduled to visit the city landmark. When Michael Sheridan and Patricia O’Connor got engaged, they chose the Loeb Boathouse in Central Park as their reception venue because it was quintessentially New York, with spectacular views of the lake and the park. They didn’t anticipate the crowd of possibly 100,000 that will gather in the park tomorrow to see Pope Francis on his visit to the New York landmark. The wedding reception starts at 6:30 p.m., and parts of the park -- including where the boathouse is located -- will close to the general public for the pope’s procession. Only those with tickets will be admitted, but Sheridan said he’s been told that if he and his guests arrive by 5 p.m. they’ll be admitted. That leaves them a tight window to get from their 2 p.m. wedding Mass to the boathouse before the park is shut to the public, but the Manhattan couple is taking it in stride. They’ve rented two buses to take their 150 guests to the park so everyone arrives at the reception venue at the same time. The couple, both 35, are Catholic, and they were initially thrilled to know that the pontiff would be coming to New York. The pope’s visit has prompted one of the most sweeping security operations in the city, with thousands of additional police officers being deployed. 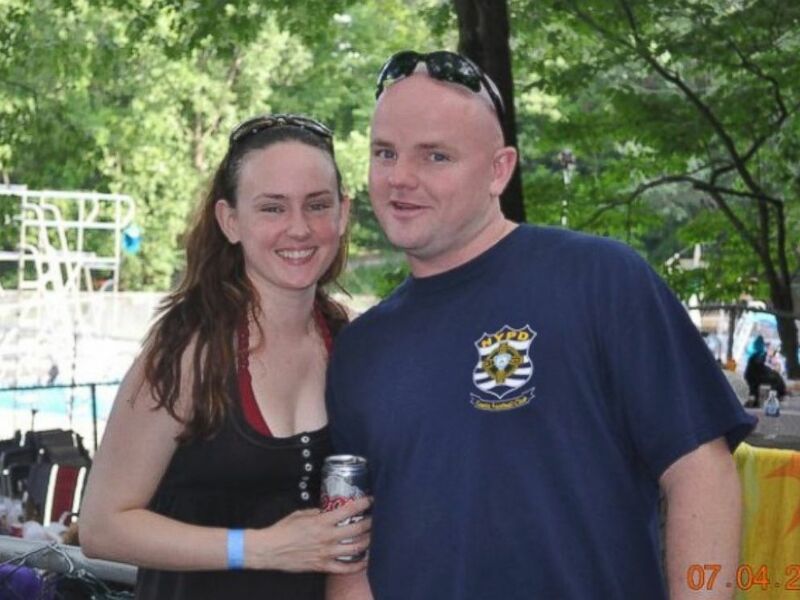 More than 20 of Sheridan’s wedding guests are among the police officers who will be on duty tomorrow. Bagpipers who were also scheduled to play at the reception also had to cancel. One of the bagpipers enlisted the help of retirees to play in their place. “So it’ll work out. We’re kind of winging it right now. You never know what’ll happen, ‘cause the pope could turn around, change something small, which could affect us in a major way. If it stays like this it’ll be good,” Sheridan said. The bride-to-be said she’s calmer than she expected to be, given the uncertainty surrounding the situation. The wedding had initially been planned for Oct. 2, but a scheduling conflict at the boathouse meant a new date was set. “I come from a Catholic family and I kind of believe everything happens for a reason. So when this happened I thought ‘that’s the reason,’” said O’Connor, a dispatch manager for a maintenance service. If it doesn’t happen, the couple will have another chance next week. They’ll travel to Rome for their honeymoon and plan to visit the Vatican.